What do you do when something that you have wanted so badly is nothing like what you thought it would be? How can something like school and the people who run it be so thoughtless and cruel? 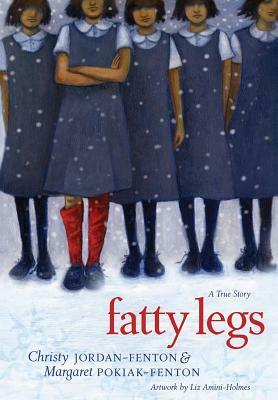 Those are things you will wonder when you read When I Was Eight and the chapter book version of the same story, Fatty Legs, about the Inuit girl who left her village to go to the outsiders’ school. At first Oleman was excited to be there because she so wanted to learn to read. Quickly her excitement turned to dread and fear. Everything she loved was taken from her. They cut her hair. They changed her name. They put her in scratchy, thin, uncomfortable clothes. They made her speak only French and English and forced her to do endless chores with little food. The sisters who ran the school took everything Inuit away from the girls in their charge. 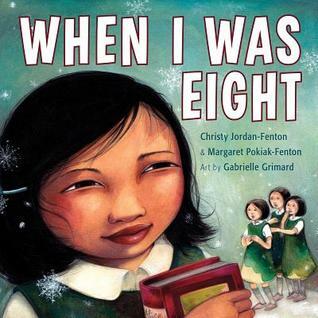 When I Was Eight tells the first part of Margaret Pokiak-Fenton’s story. Not My Girl and A Stranger At Home tell the second part. Eventually the ice melted in the bay and the rivers and the summer was long enough for a boat to travel up the Mackenzie River to bring Margaret home. 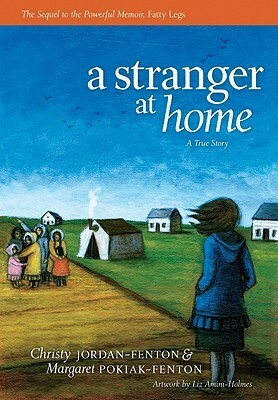 After two years at the school, Margaret couldn’t wait to be with her family again in Tuktoyaktuk. When she arrived, however, everything had changed. She no longer knew the Inuit words she needed to talk to her family. Her uniform and canvas shoes were impractical from Artic life – even in the summer, and her stomach was now unaccustomed to the rich and fatty foods she had once so well loved. Though she was home, she felt like an outsider. Now Margaret/Oleman was afraid she didn’t fit anywhere. She was neither part of the Outsiders’ world, nor part of her family. Fortunately, family is just that – always a place to come home to and eventually Oleman finds her place. She comes to feel at home again with her sisters and her parents and her dogs. But, once change happens it stays. 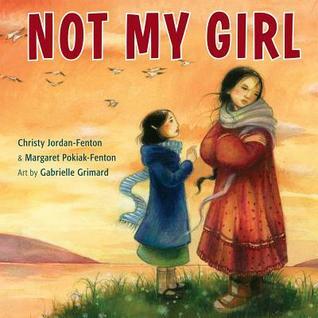 Not My Girl and A Stranger At Home helps us think about change; how we learn and grow to understand more about other people and ourselves through our experiences. We all have choices. We can see differences as weird and bad – something to get rid of so we are all the same. Or we can see differences as interesting and wonderful – something to celebrate so we are richer because we are unique. These are great books to read as a family. There is so much to wonder about and consider – even the questions left unanswered are important.